With GeoKids USA, learning Geography is fun. * Adventure mode: Explore 50 destinations to improve your experience level, win trophies (and more…). 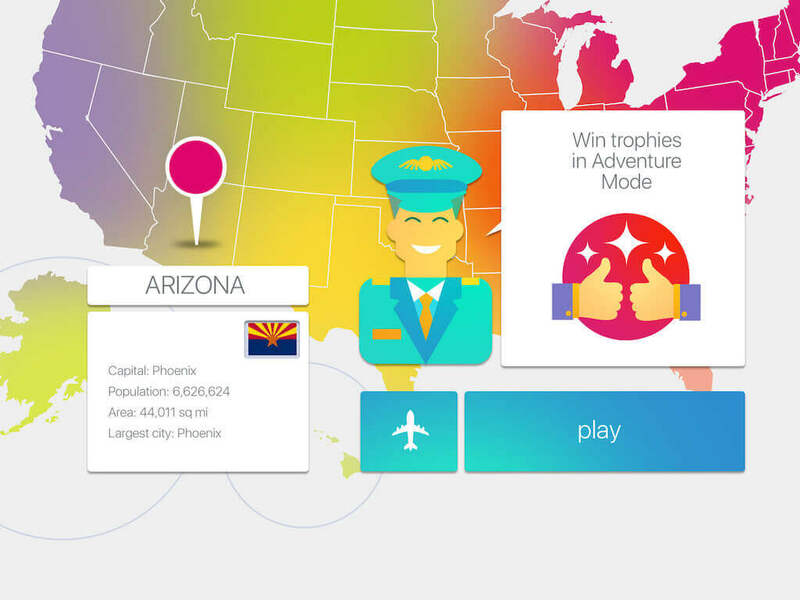 For each destination, a new game: Locate Capitals, Cities, associate State and Flag, answer different Quiz, identify Points of Interest, Mountains, Rivers, and so on. A lot of different games to entertain the Kids but also to teach them (while playing) different themes of the US geography. 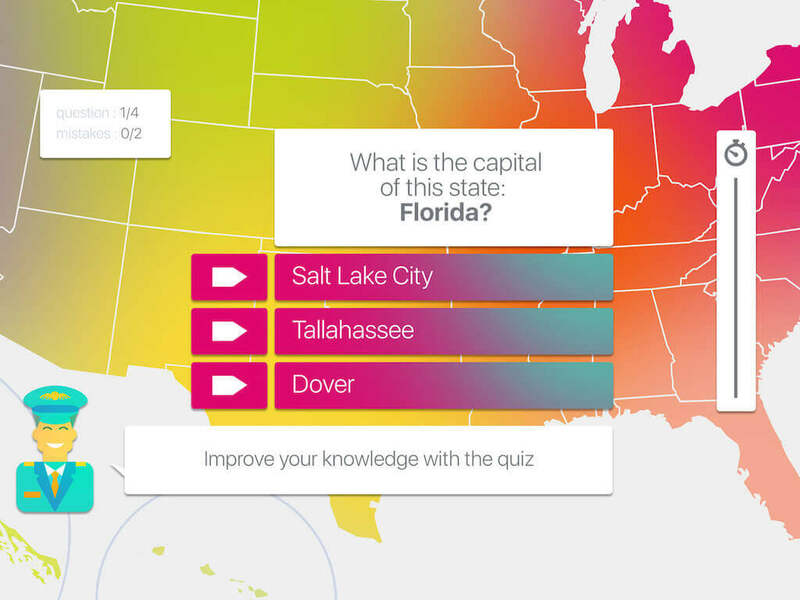 * Training mode: Train yourself on GeoKid (locate states, capitals, rivers, moutains…) and on Quiz as well (with questions about Capitals, Flags, Areas,…). 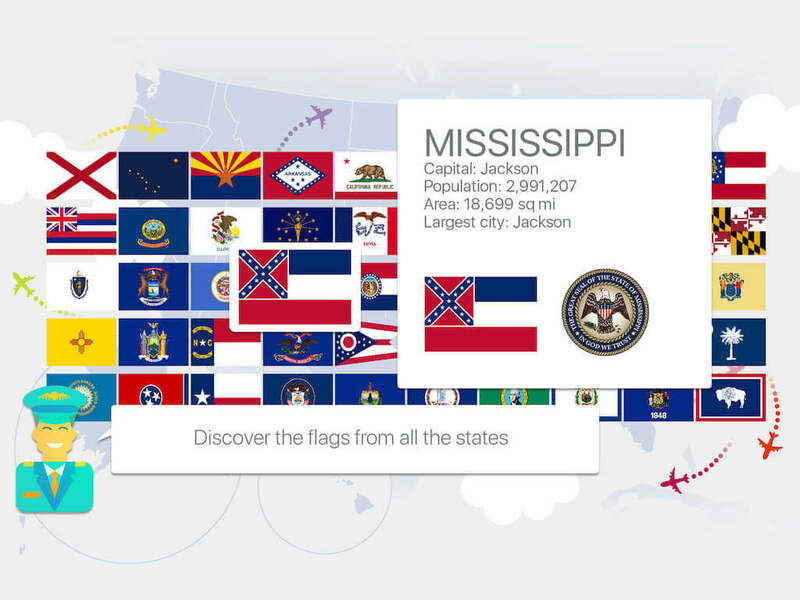 Access the ‘Flags’ mode, click on a state flag and get the related info (and location). Access also the ‘Discovery’ Mode, freely navigate within the US map and discover all the states. 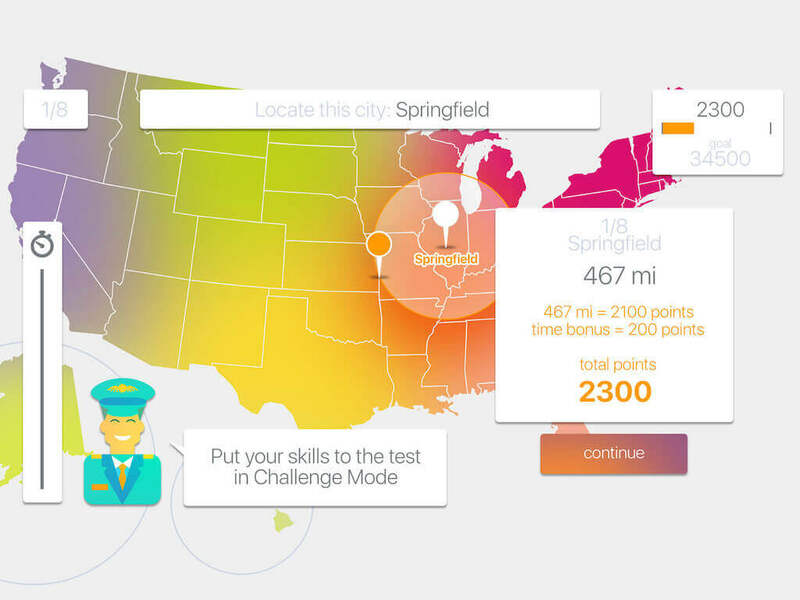 * Challenge mode: Accurately locate cities in order to win points and access the next challenge. 50 levels to solve! Will you be smart enough for that mode? Try and tell us! – “Conquer the world” feature. Each right answer gives you a diamond, each time you complete an achievement, you win diamonds too. And with these diamonds, you can conquer the world, country by country! New feature: Print the U.S. map with (or without) the capitals, the big cities, the deserts, the rivers… Print also the flags and the seals. Each family member can have its own player profile, so you can compare your progress to other ones. As all player profiles are saved on iCloud, you can start a game on iPad and resume it on Apple TV or iPhone! 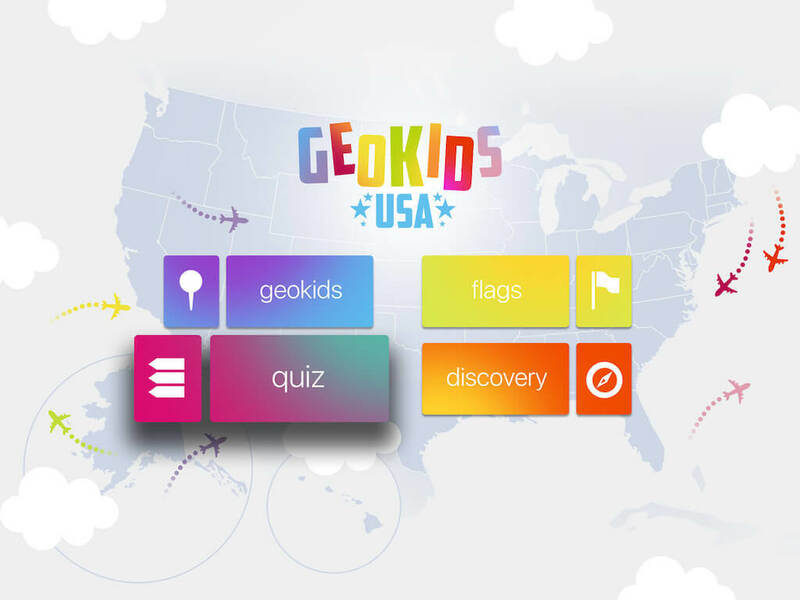 GeoKids USA is both easy to use and rich in content. Your kids will love travelling and will feel happy to know and locate states, capitals, seas, mountains, and so on. They will also be proud to know more details on USA than ever. Learning Geography has never been so fun!! !